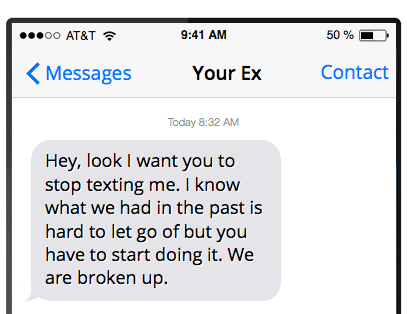 My Ex Girlfriend Reached Out To Me… What Do I Do? You have just went through a breakup and have accepted the fact that you are probably never going to get back together with your ex girlfriend. Not that you don’t want to get back with her. Quite the contrary, you want to get her back more than anything but all of your attempts have fallen short. So, you begin working on healing and getting over the breakup. But that’s when something funny happens. Well, that’s what this article is about. Though we aren’t necessarily going to operate under an assumption that you are trying to get over an ex. I am not going to lie it’s a pretty simple mission statement but don’t let it’s simplicity fool you. Creating the best content in the world is not easy. 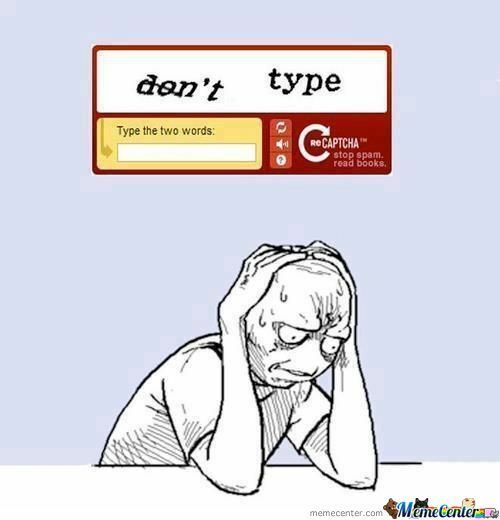 Quite the contrary, it’s extremely difficult. Luckily, we are up for the task. Was Her “Reach Out” Positive Or Negative? But rather than listening to me ramble on let’s just dive right in. You came to this page because your ex girlfriend probably reached out to you in some way, shape or form and you have no idea on how to respond. But most men aren’t that lucky. Most men end up being the ones who reach out to their exes first. Besides, just because your ex girlfriend reached out to you one time doesn’t necessarily mean it will happen again but we will cover that later. For now, I would like to talk about some of the tried and true tactics that you can utilize to increase the chances of making your ex girlfriend reach out to you. To date, this is what our independent research has shown to be the three most effective ways to raise the chances of making an ex girlfriend reach out to you. Now, before I go any further I feel it’s important to make a distinction. This research only applies to making an ex reach out to you. Making an ex respond to you is an entirely different matter. In other words, we only looked at what methods worked the best for making an ex girlfriend reach out to you without you reaching out to her first. Let’s take a moment and look at what our research taught us. Before I get started there is one more very important thing that I need to point out to you. Take a look at the graphic above that explained the three things that you can do to raise your chances of making an ex girlfriend reach out to you. Do you notice anything interesting about it? Each one of the strategies is numbered. Is it because I am trying to show the total number of strategies I am going to talk about. I actually ordered the strategies in order of effectiveness. Now, I don’t want to knock “planting the seeds.” It can be wildly effective if it is used properly. 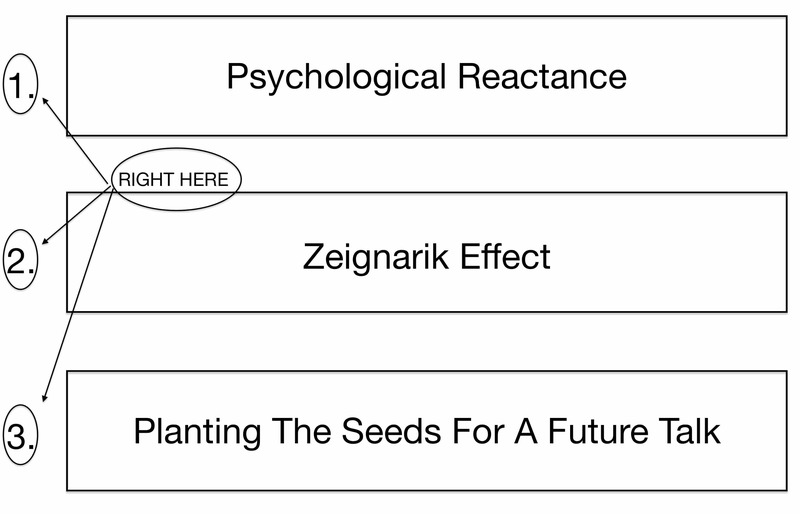 BUT our research has shown that more people have had more success with psychological reactance and the zeignarik effect. You enjoyed doing this so much that throughout your day you would daydream about it. Why? Because it was the only time all day long that you had alone. It was your way of decompressing. But one night that all changed. One of your friends had a falling out with his parents and ended up showing up at your door asking if he could sleep over. Being the great friend you are you let him into your home. But now he has interrupted your alone time. What’s worse is that for the next month he interrupts your alone time every day. Instead, of watching TV alone like you love to you are forced to talk to him and it starts to get on your nerves. Inevitably a time will come where you try to re-obtain your freedom to watch TV alone. This is psychological reactance at work. Psychological Reactance- States that human beings have a certain number of freedoms and whenever those freedoms begin to feel threatened they will usually react in a way to try to re-obtain those freedoms. So, let’s dumb this down using the example I gave above. You had a freedom that you loved so much you would look forward to it throughout the day, watching TV. But then your friend came into the picture and threatened that freedom. You reacted in a way that will allow you to re-obtain that freedom. How does any of this apply to your ex girlfriend? By using the no contact rule on your ex girlfriend you are depriving her of her freedom to talk to you. And according to psychological reactance what is she going to do? She is going to react in a way that aligns with her trying to re-obtain that freedom. Hence, she will reach out to you. Our research has found this to be the most effective method for getting an ex girlfriend to reach out to you without you having to do anything. Of course, just because it’s the most successful method doesn’t mean that it’s going to happen all the time. So, don’t be disappointed if she doesn’t reach out to you if you did the no contact rule on her. Sometimes things like that happen but that’s why there are two other strategies that we teach for getting an ex girlfriend to reach out to you. Above I gave an example that talked about three TV shows. I assure you this wasn’t done without a purpose. I chose these three shows because they all have something in common. Care to take a guess at what that “common aspect” is? In 1927 a woman who goes by the name of Bulma Zeignarik published a report that would forever change the way we view human beings. You see, Zeignarik, had been listening to one of her professors tell a story about how he noticed that a waiter who was waiting on him had a better recollection of his unpaid orders. However, once the unpaid orders had been paid he couldn’t remember them anymore. This gave Zeignarik an idea. She decided that she was going to perform a series of tests to figure out what this phenomenon was. Her tests taught her something fascinating. 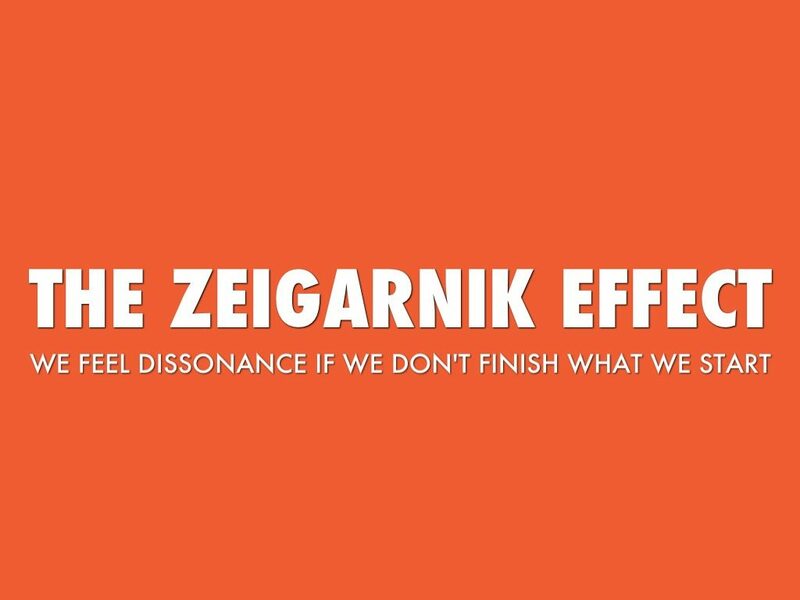 The Zeignarik Effect- People remember interrupted or uncompleted tasks better than completed ones. Take my favorite show of the bunch, Game of Thrones. It creates anticipation for the next episode. Well, it interrupts the story making it easier to remember. So, how does this tie in to your ex girlfriend? 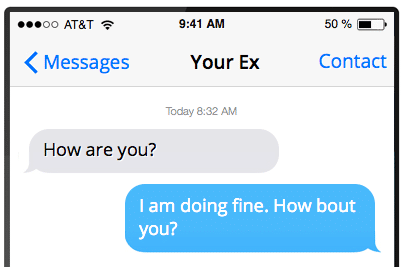 Let’s pretend that you and your ex girlfriend are texting back and forth. It’s one of those conversations that you know is going really well based on how she is reacting to your responses. But let’s say that instead of continuing the conversation for an hour you end it at high point. At the point of the conversation where it can’t get any better. In other words, you interrupt the conversation. Now the conversation is an uncompleted task in her mind. This will actually raise the chances of having her reach out to you in the future. Because she is going to want to continue that conversation. She is going to want to continue the story so to speak. Let’s switch things up a bit here and instead of focusing on your ex specifically let’s focus on human beings in general. How are we going to do this? Well, I am going to use myself a guinea pig. Who was the last person I reached out to and what made me do so? Let me provide some context for this conversation. Basically we challenge each other and have some pretty intense games. Oh, and for those of you who are familiar with MTG we know our stuff. My brother just took 1st place at a tournament and it an extremely talented player. Of course, I’m better 😉 . I beat him in almost every game we played the last time we challenged each other. But I am getting way off topic. 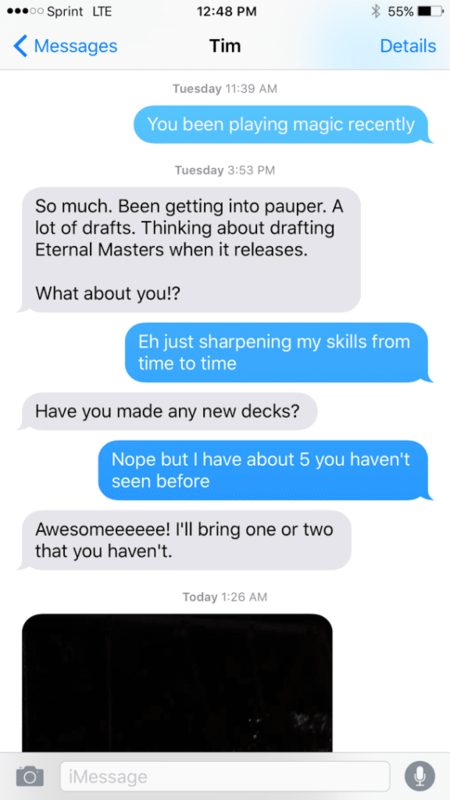 As you can see from our text messages I texted him first asking if he has been playing Magic recently. Well, it’s all because he had planted the seeds earlier for me reaching out to him at an earlier time and date. Magic is the one thing I know I could connect with him on. It’s also the one thing that directly involves me and I got curious on what he was up to so I texted him. Imagine if you could do this with your ex? Imagine if you could connect with her on something she was passionate about so much that she would reach out to you at a later date to ask about it. Let’s use my wife as an example. One thing that her and I connect on is the popular show, Game of Thrones. 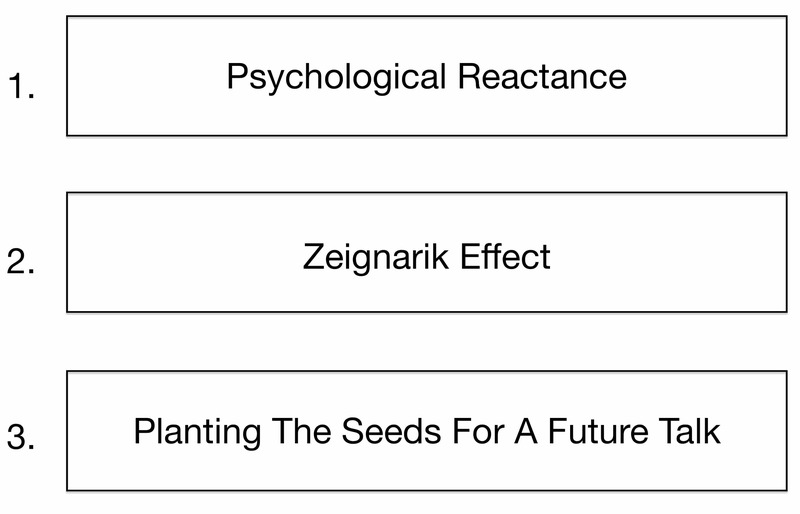 The “planting the seeds” method is essentially you doing a bunch of work up front to ensure a response at a later date. 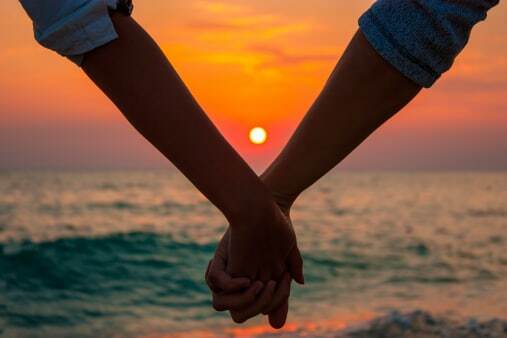 But perhaps the most important part of this method is that the seed that you plant has to be something that you and the other person connect on. For example, my brother and I connect through Magic The Gathering. And my wife and I both enjoy Game of Thrones. But if I were to try to connect with my brother on something like hot air balloons hoping that he would reach out to me later it probably won’t work. 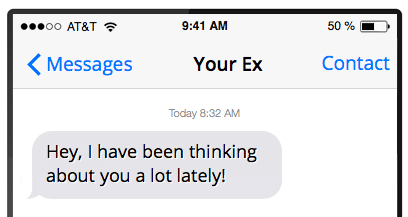 Was Your Exes “Reach Out” Positive Or Negative? Let’s switch gears here and focus in on the reason that you came to this page. Determining what to say back if your ex actually reaches out to you. The first thing that we need to do is determine whether or not your ex girlfriend is reaching out to you in a positive, neutral or negative manner. I would also like to determine what it means when she does so. Of course, there are a ton of things that we have to look at to determine these things. So, here is what I am going to do for you. I am going to divide this section up into three parts. And under each of these three sections I am going to talk about what factors you need to look at to identify if you are receiving that particular “reach out” from your ex. Well, you are going to have to learn on the fly because I am going ahead. What if I told you that you did. What if I told you that most of the men who come to this website thinking they know everything actually don’t know anything? This is the story of Dave, a visitor here at Ex Girlfriend Recovery. Dave became enamored with my website and started reading all of my articles. Eventually he stumbled across this one where I talk about the importance of getting “positive responses” from an ex girlfriend. When I say that he read all of my articles that’s not exactly what happened. What he did was he read the parts that interested him and he scanned over the parts that he assumed he knew already. In fact, I was reading an article yesterday about webinars and I caught myself doing just that. Anyways, I don’t want to get too far off topic. The positive response section in the article I mentioned above is one of those parts that Dave thought he could scan/skip over. Why is this an important thing to note? Well, when he was texting his ex girlfriend, Dave mistakenly thought that a neutral response from her was a positive one and he ended up going too fast too soon which resulted in his ex girlfriend getting scared off. It’s an important thing to determine because how you respond to your ex is dictated by how they reached out to you but I am getting way ahead of myself here. What I would like to do now is look at the factors that you need to take into account if you are trying to determine if your ex reaches out to you in a positive way. I’d like to take a look at these factors one by one starting with the word count. Most people generalize the word count. In my opinion this is flawed logic. In my opinion, this is a long message. The overall word count is big. However, when you actually take a look at the message is it positive? It’s basically a big fu*k off to you from your ex. So, trying to determine whether or not a message is positive can’t be wholly reliant on word count. Nevertheless, I have found that more often than not the correlation between having a high word count and a positive message is there. You just can’t rely on it all the time. So, the big thing that I want you to take away from this section is to take all of the factors that I talk about into account. Don’t rely just on word count to determine whether or not a message is positive. Of course, like I said, usually you will find that the longer the message is the more positive it is. I realize what I am about to say is going to be very difficult but if you really want to determine whether or not a message from your ex is positive or not you need to try to determine the implied tone that they are trying to convey. For example, I can say “hey” a million different ways and it could mean a million different things. Actually, the coolest thing about my set up now is I can record my voice for you to demonstrate this point. Now, in my mind I am saying it a certain way. Do you see how just by saying one word in a different way can convey a completely different meaning? Whereas the other “hey” was clearly negative. Now comes the hard part. 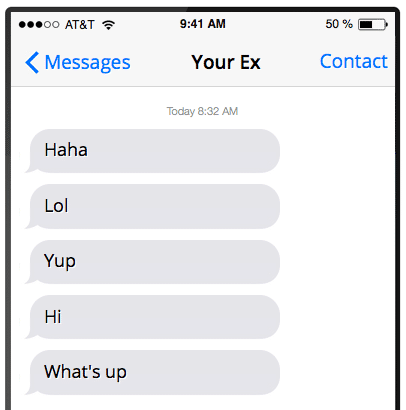 How can we determine what tone your ex has when she is texting you? Well, the best thing I can come up with for you is to look for context clues in the text message. Take my “hey” examples above. The exclamation points are the important thing. They give it that happy and upbeat tone. But what might the sad hey look like? This is probably the most important factor that can help you determine whether or not the “reach out” you get is positive. What is your ex girlfriend actually saying? Is she giving you a compliment? Is she saying something mean? This is very important to determine. 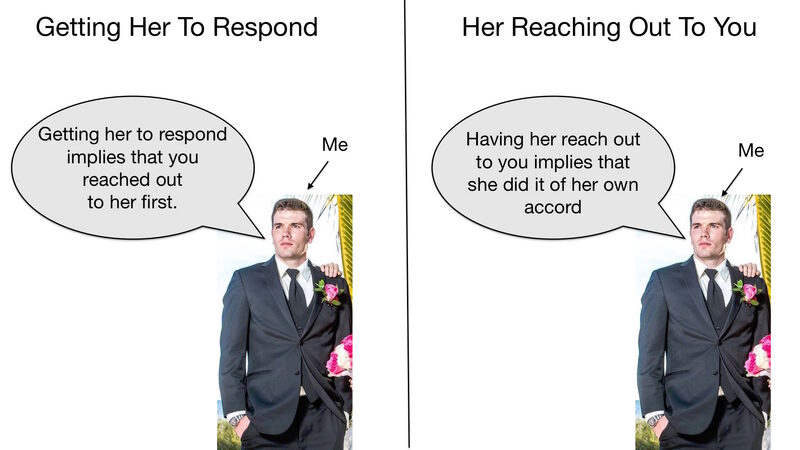 I would have to say that a lot of men out there end up getting neutral reach outs confused with negative reach outs. Look, a lot of times it’s easy for men to take a neutral text the wrong way but it doesn’t mean that things are completely over. It does mean that you have more work to do but more on that in a second. For now, lets dissect what you are supposed to do determine if you are getting a neutral reach out. This is one of those situations where we can generalize. Generally speaking the less the word count the more neutral the text. Let me give you a real life example using yours truly. 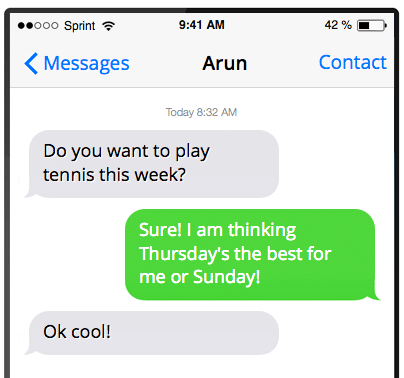 He is one of my hitting partners for tennis. 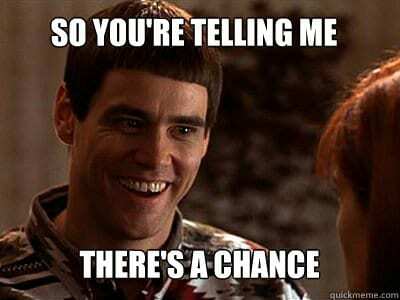 He happened to reach out to me yesterday and asked if I wanted to hit with him some time this week. I accepted. Do you see the neutral text throughout our conversation? It actually came from him. Do you see how this text message was the shortest going by word count. He could have easily continued the conversation or said something more interesting than “ok, cool” but he didn’t. He decided upon sending a short little neutral text. Now, it goes without saying that not all neutral text messages will be short. Some can be on the longer side but that’s why we have other factors to look at. Usually this happens when you are in the midst of a conversation with someone and that someone can’t think of anything else to say. So, rather than taking a moment to put together a positive message they just decide to go through the motions and send a neutral message. I think we have all been guilty of this. However, you also notice that when they reached out to you it was the middle of the day, when they have work. I can definitely put my support behind this one since this used to happen to me with my wife. You see, I run Ex Girlfriend Recovery and Ex Boyfriend Recovery. This is my career. And as a result of this I get the ultimate freedom to make my own schedule. But back when my wife and I were dating she had a regular 9 to 5 job… Well, it was more like an 8 to 6 job. And I would always notice that when the two of us would message back and forth she would always respond very neutrally. 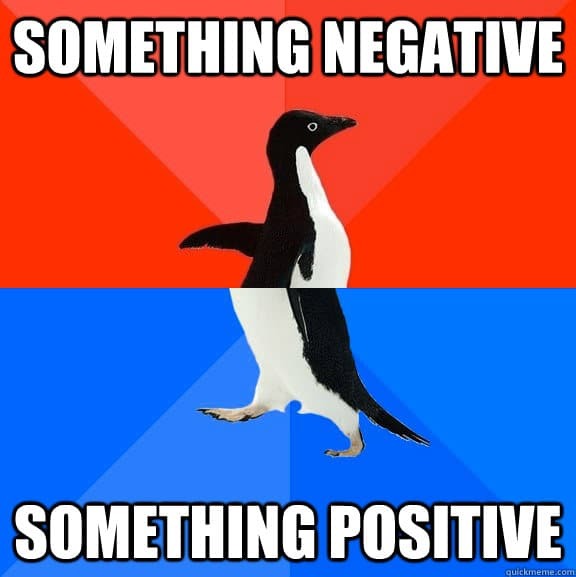 Not exactly very positive, huh? Eventually I confronted her about this and she explained to me that she was so busy with work that she didn’t have time to respond positively. All she could do was either not respond at all or respond very quickly. This seemed legit since any time she wasn’t at work she responded very positively. Sometimes life can get in the way and cause a neutral response. Make sure you keep that in mind when determining your exes reach out. Neutral messages are notorious for general statements. Imagine you received any one of the following messages. These are notorious neutral messages. Of course, not all of those messages can be used in a “reach out.” In fact, only the last two can. The negative reach out is by far the easiest one to decipher. In fact, almost every conceivable factor that we have talked about thus far can be utilized to determine if your ex is reaching out to you in a negative way. You can pretty much chalk it up to being a negative response. That’s why I am not going to spend much time on negative messages at all. They are easy to decipher and I don’t want to waste your time. 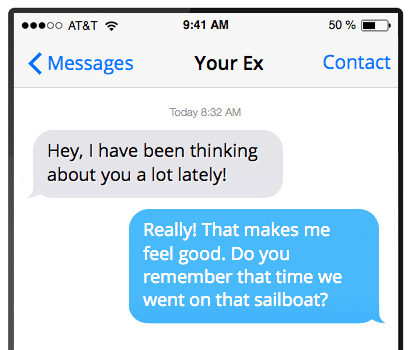 Instead, I think you will be far more interested in what to do once your ex reaches out to you. 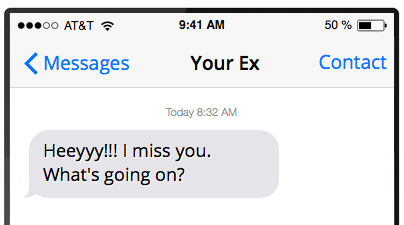 What Are You Supposed To Do If Your Ex Reaches Out To You? Welcome to the meat of this article! Here I am going to give you a specific game plan to follow once your ex reaches out to you. However, before I can give you that game plan we need to first operate under certain assumptions. Ex Girlfriend Recovery is a place that really specializes in what to do to get an ex girlfriend back. Therefore, if you are just wanting to get over your ex girlfriend then I am going to have to ask you to disregard everything written from this point on. Instead, I would like to direct you to this article. So, that’s the first assumption that I would like us to operate under. The second assumption is a little more in-depth. If you read my article on the no contact rule then you would know that it’s actually one of the most important strategies that you have to utilize to get your ex back. I have a very specific way that I teach it. For example, the no contact rule is always the first thing that you are supposed to do before you even think about texting your ex back. Well, if your ex reaches out to you while you are in the no contact rule your marching orders are very simple, ignore her. Look, there are certain times that you can break the no contact rule to respond to her but I wrote a whole book to cover that. What we are really going to talk about from this point on is if she reaches out to you after you have already completed the no contact rule. So, just to recap, from this point on we are going to operate under the assumption that you are trying to get your ex girlfriend back and you have just completed the no contact rule. In other words, if she has reached out to you AFTER the no contact rule this is what you are supposed to do. Did you ever ask yourself why I spent all that time diving into the three different types of responses? It’s because how you respond to your ex is going to be based on how she reached out to you. For example, you are going to respond in a certain way if she reached out to you positively and you are going to respond a different way if she reached out to you in a negative way. But it’s also important to remember our very first assumption. We are going to be working towards getting her back. So, I am going to recommend that you respond in a way to accomplish that goal. Personally I feel like I am at my best teaching you when I deal with hypothetical situations. So, going forward that’s what I am going to do. How are you supposed to respond to this? Simple, your goal is to advance the conversation. Respond in a way that will do that. However, one important thing is that you want to keep her in the position where it looks like shes chasing you. Because that kind of gives away your mysterious vibe. Instead, I like to recommend to my guys that they respond with a positive memory! 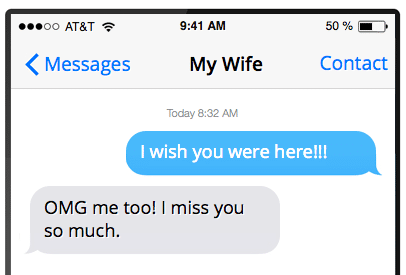 By sending this text message you will not only advance the conversation in a positive way BUT you are going to ignite some of those fuzzy feelings within her. Imagine her thought process for a moment. This imagery within her own mind is going to make her so much more responsive to your future text messages. 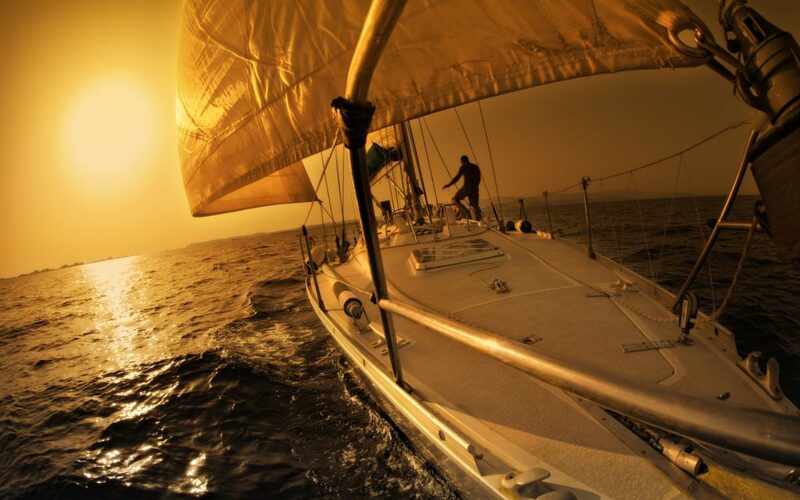 More importantly, by imagining you on the sailboat with her she is more likely to miss you. And everyone knows that making your ex girlfriend miss you will make your chances of success go up. So, the big question we are trying to answer here is how do you respond to this? Hell, do you even respond to it? Some neutral messages are worth responding to and others aren’t. Your ex girlfriend reaching out to you by saying “sup” is one of those messages that aren’t worth responding to. Then you would probably want to respond. 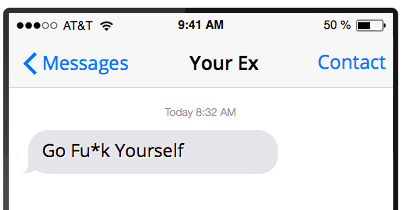 So, let’s operate under the assumption that your ex ended up sending you a neutral message like this. What do you say back? It’s human nature to respond that way. But I think you should respond differently. Instead, of responding to her in a way that she is expecting I say you should respond in a way that fascinates her from the start. You need to say something that will grip her into the conversation so she is on the edge of her seat waiting to see what you are going to say next. 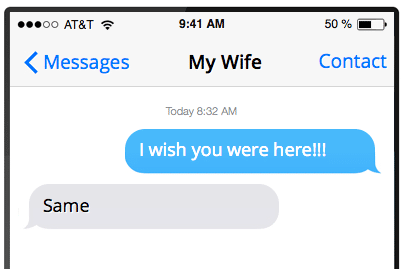 Initially she reached out to you neutrally but by sending her this text message you can get her more engaged in the conversation to where she is curious to find out what happens next. Trying to get her engaged in the conversation is the key here and that text will accomplish it. And now we get to the toughest situation of them all. If your ex reaches out to you in a negative way what are you supposed to do? No offense, but men are kind of idiots when it comes to getting baited into a fight. Oftentimes the temptation to respond to an ex who reaches out to you negatively is there but there is something to be said about brevity. Sometimes the smartest thing you can do is live to fight another day.